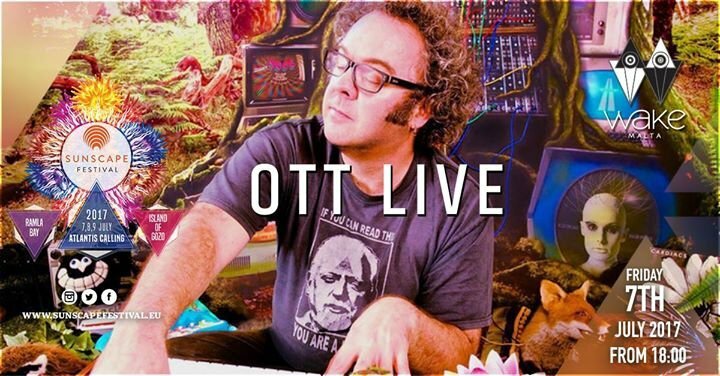 Sunscape is honoured to be welcoming to our shores and our festival one of the most respected artists in his genre; OTT playing a coveted live set. Warming up for this live act are local world music veteran DJ and promoter, Mundo Muzika, Flow with a Psy Dub DJ set and a semi live set by ultra talented Antojn Karuna and Nik X Conti. The night will continue with a DJ set by The Nakara Project, another brainchild of the legendary DJ Ruby followed by local heavyweight In Spirit playing another unique DJ Set. Expect a journey into World Music, Ethnic Sounds, Live Musician and Dub Bass lines at the new and improved Reflections Stage with the beautiful Ramla Bay as a backdrop.